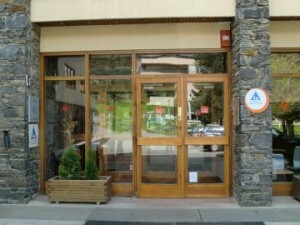 Around 8 km from Masella (Ski Map), 10 km town of Alp & 17 Km of Puigcerdà, Cerdanya’s regional capital. books, reviews of mountain area , updates and games. Fully homemade menus suitable for coeliacs and vegetarians if given notice. Bus stop at La Molina ski near the Refuge. 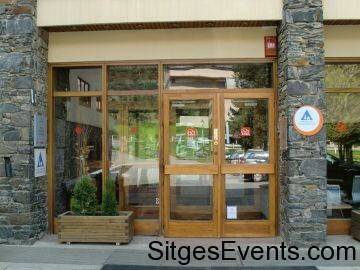 Ski guides, mountain hiking, climbing and nature. Discounts on ski pass and ski equipment on the slopes of La Molina and Masella. * Price per person VAT included. * PRECIO POR PERSONA IVA INCLUIDO. * Double room: Supplement 2.5 € per person. * HABITACION DOBLE: Suplemento de 2.5€ por persona. * SATURDAY: Minimum Booking half board, from 1 December to Easter. * SABADOS: Reservas minima media pensión, desde 1 de diciembre a semana santa. * OFERTA ESPECIAL FIN DE SEMANA: Desde la cena del viernes hasta el desayuno del domingo, con picnic del mediodía del sábado. Prices for HI membership card at hostel. Living room with private bar. Multipurpose room with TV (digital satellite), video and DVD. Service sheets and blankets, heating and hot water. Service sheets blankets, heating and hot water. 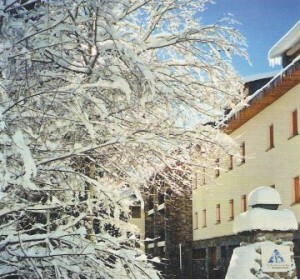 Mountain bar called Bar de fusta. Next to the village of Sils , this protected area has regenerated a rich ecosystem, characterized by the presence of water birds and native flora of wetlands and floodplains. Follow the marked trail and discover this natural wealth. Signage: the entire route is signposted. Time of year: you can do all year round, although the station is best spring. In times of heavy rainfall route section may become impracticable. Starting point: Sils railway station. Children: Yes, the route is completely flat and very easy. It can be an educational and didactic output at any age due to the natural attractions of the area. Bring: binoculars, dull colored clothes, camera and a bird guide. Museum with interactive & audio visual information. After the tour, you can see the documentary “Children of the Besòs Plan” at the House of Culture. Guided visits: the second Saturday of each month, at 11am and 12 noon. Free admission for children up to 8 years. Drawings, paintings and ceramics by Picasso. “Flors del Remei liquor”, made with aromatic herbs.